The Poet Sings. And sing they did. During the school day on Friday, five other Verdigris members joined the quartet who had been making regular visits to the school. That Friday as we rehearsed and then performed with them we experienced so much joy in music-making, both for the Greiner choirs and the Verdigris singers. As I sat next to Libby before the concert, we recalled our time on a stage with our middle school choir in uncomfortable choir dresses feeling nervous and excited. Outreach like this fills the the hearts of the professionals and keeps us connected to why we chose this in the first place - the initial spark of excitement and joy in singing. It was a privilege to get to see the first flashes of this spark in the eyes of the Greiner singers. 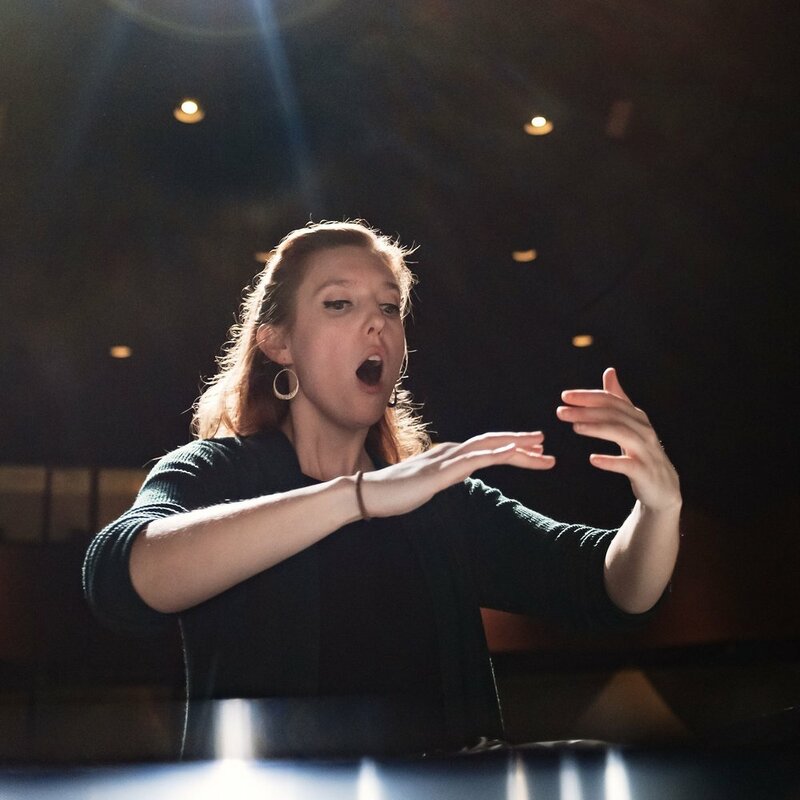 Their choir director, Bethany Ring, is a talented, energetic, highly capable educator who has brought so much stability and direction to the program since starting there at the beginning of the year. As we came alongside her to support the vision and growth of the program, we saw the excellence in her teaching and were grateful to have a part in enriching and inspiring the students. One of the most common things we heard from the students was that our presence there made them feel “special.” We also saw how our presence energized Bethany. 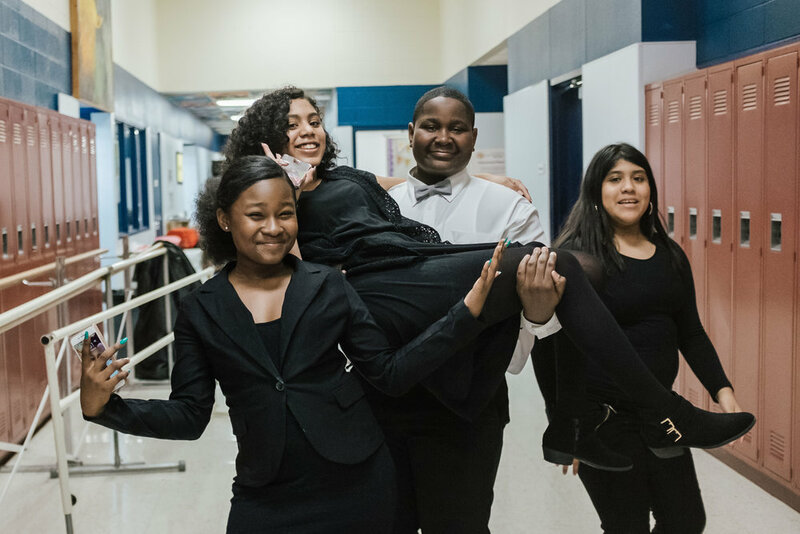 Teaching is draining, and she let us know how much the presence of other professionals in her classroom helped inspire her work. At the end of the period, the quartet of regularly visiting singers (Erin, Alex L, Derrick, and I) gave our final goodbyes to each choir. We thanked them for their openness, kindness, and hard work. A few students also offered their thoughts, thanking us for the inspiration we brought and the time we took to help them grow. My favorite part of the whole day was watching the faces of the two students whose poetry had been chosen for Meredith’s composition, “How I Learned to Fly.” Meredith had not met them in person until the Friday of the performance, and it was pure joy when she hugged them both and thanked them for their words. 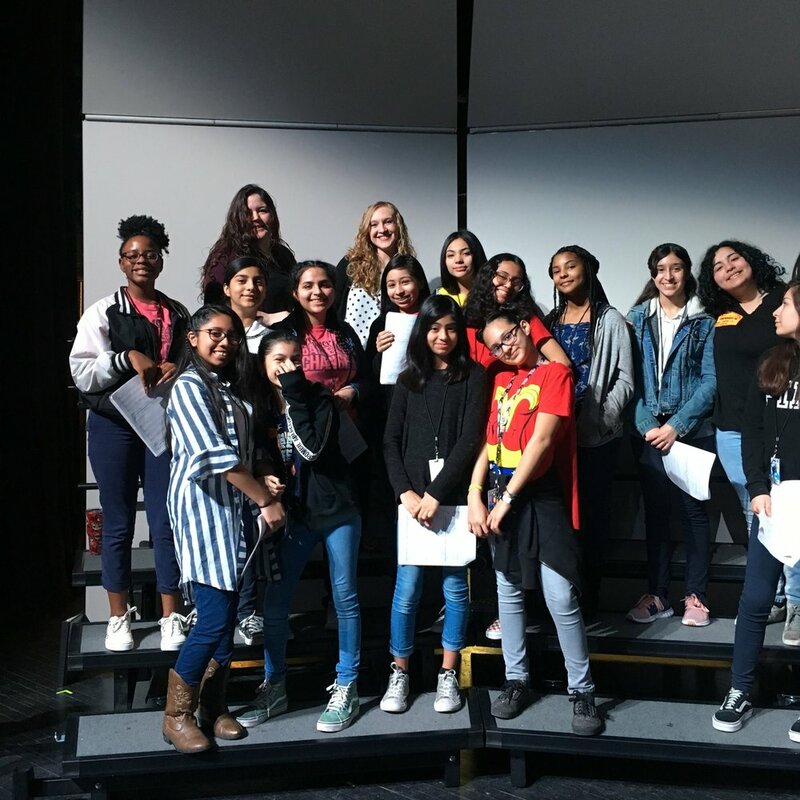 Seeing their peers, the composer, and a group of professionals bring their work to life brought an expression of constant pride to their faces. They were glowing. The commission was key. 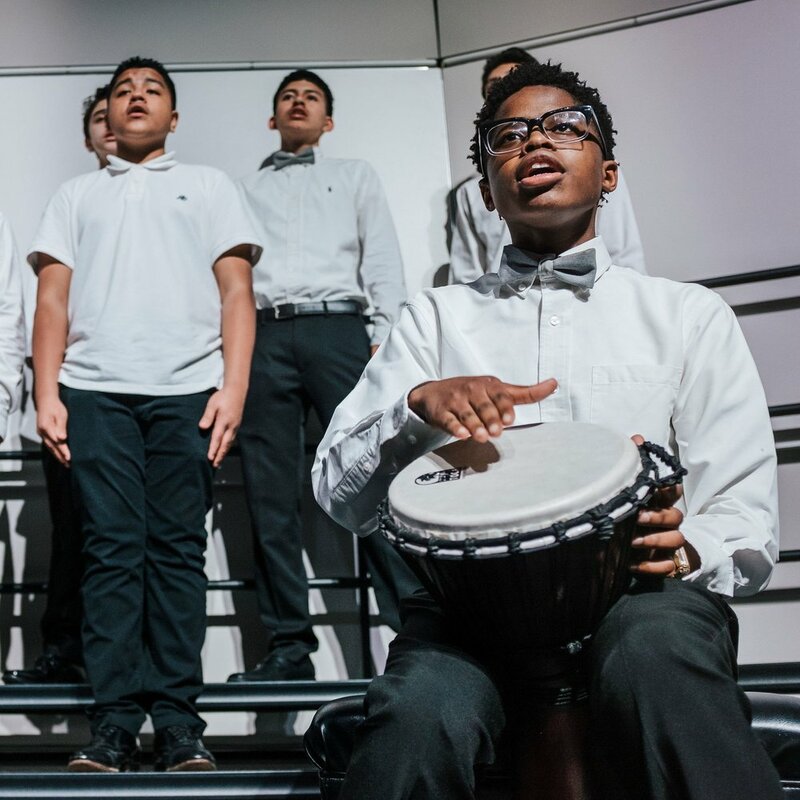 It gave us a centerpiece to the program, gave students the challenge of performing music that has never been performed before, and allowed us to honor their voices and artistry in powerful ways. It also was the equalizing force between the professionals and the students. We worked together to bring to life a piece for the first time. A small touch of creativity goes a long way. In the planning of this project, we talked about how we were going to bring this concert to a level beyond “stand and sing.” We accomplished this simply by having students read some of the poetry their choir was singing while Jimmy Emery, the pianist, offered light accompaniment to their reading. 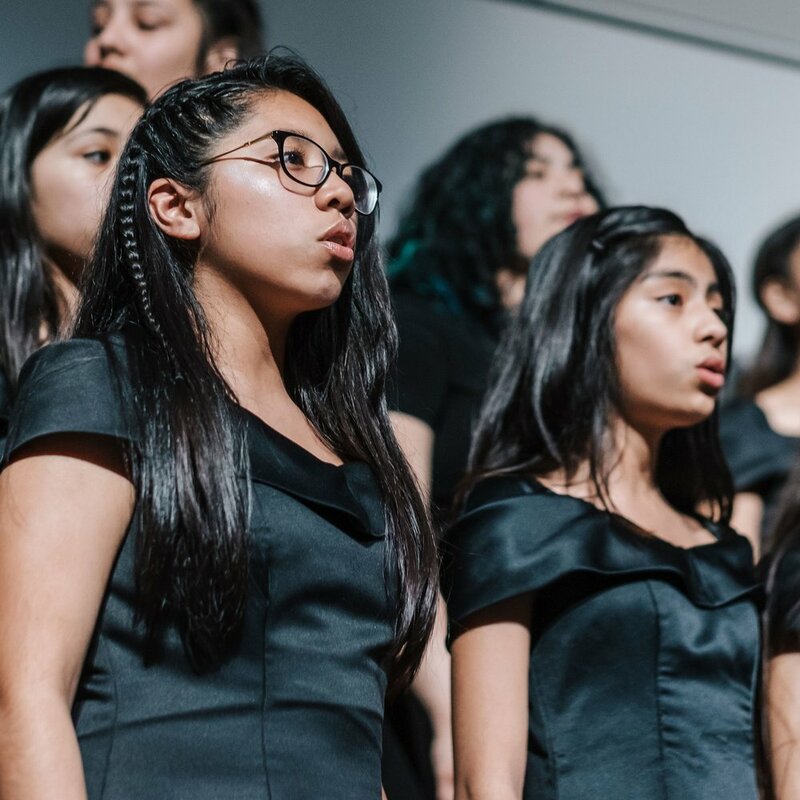 It made each choir’s set of songs feel more cohesive, and elevated the artistry of the concert just enough to make it feel more musically satisfying for the students. With this being Bethany’s first year at Greiner, anything more than this would have added confusion and taken focus away from the important performance skills she is building into the program. Perhaps in future years, we will have the opportunity to bring things further out of the box. And finally, make time to build relationships. By the end of the four weeks, the students knew us, felt comfortable with us, and were able to see that we were genuinely interested in them as humans and young musicians. This made our time together and our final performance together a communal experience in joyful music-making that we could not have accomplished over a single day.